There is nothing more symbolic of fresh starts than January 1st, which could be why Inc. Magazine reports 60% of Americans make a New Year’s resolution. What are we resolving to do (for real this time)? Not surprisingly, the majority want to diet or eat healthier (71%), exercise more (65%), and lose weight (54%). But, as we know, New Year’s resolutions are easy to make (especially over a chocolate Santa and a glass of wine) and hard to implement. In fact, if you’ve already broken this year’s resolution you’re in good company; 80% of New Year’s resolutions are abandon by Valentine’s Day. So, how do you become one of the few who turn their resolution into reality? By taking a cue from why so many fail. Your resolution lacks meaning. 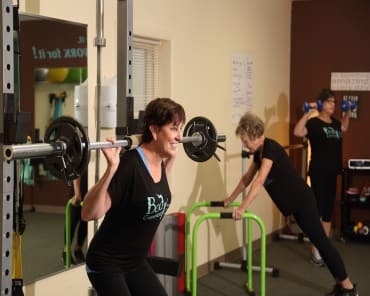 Note – meaning is not losing weight so you can look better than Sheila at your reunion. To make lasting changes you need to know your “why,” not just the “what” (i.e., showing up Sheila). For illustrative purposes, let’s say Sheila wasn’t very nice in high school, but karma is on your side and she hasn’t exactly kept her cheerleader physique. You see the reunion as an opportunity to make her feel as inferior as you did 25 years ago. What’s wrong with that? While there’s nothing inherently wrong with wanting Sheila to envy you for once, it’s not enough to give your goal meaning. Why? Because momentary glory is fleeting. However, when you connect with what motivates you on a deeper level you create meaning. When you really think about it, your health (whatever that looks like for you - keeping up with your kids, running a 5k, breaking your sugar addiction) and how that makes you feel is what gives you meaning. Connecting with that creates lasting change. We all have a Sheila but remember that at the end of the day success is not only the best revenge, it’s the only kind that benefits you. You’re not specific enough. Let’s be honest, when setting goals there’s safety in generalizing. If we don’t nail down the specifics, we end up with a lot of wiggle room. That’s not always a bad strategy. When things are left up to interpretation there’s less risk of missing the mark (even if we set the mark). The trouble with vagueness is that details make our goals real and without them we can’t develop an action plan. There’s a difference between saying you want to lower your cholesterol and committing to lowering your cholesterol by 10% in six weeks. The former is like getting in a car with the goal of heading West. How will you know when you’re there? Is it when you reach Colorado? Nevada? Oregon? You may have a map but without a specific destination you’ll never get where you want to go. You don’t have a plan. Defining your goal is only half the battle - creating a plan to achieve it is the other half. Sure, you can circle Yosemite on the map but without a plan to get there you’ll never experience its majesty. The same is true for reaching your goals. Developing an actual plan is key to reaching your destination. The good news is that getting clear on what you want to achieve and why makes mapping out how easier. Gaining clarity around your goals and being honest about potential pitfalls are key to creating a plan that will work for you. For example, if you plan on eating oatmeal to lower your cholesterol but the mere thought of it triggers your gag reflex, it’s probably not going to work (one doughnut won’t kill you, right?). The point is without the guardrails a plan provides, you’re left making decisions on the fly and that’s definitely more stressful than creating a plan. Having support also means someone willing to dole out tough love when needed and inspiration when your motivation wanes (and it will). Friends and family can be great support systems, but when push comes to shove will they know how to get you over the hump or are they more likely to commiserate with you over a bottle of Pinot Noir? Finding the right type of support, whether in-person or online, is essential to achieving your goals - don’t fall into the trap of thinking you need to do this on your own. 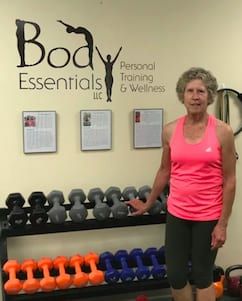 With over 20 years of experience helping people reach their lifestyle goals through fitness and nutrition, Body Essentials has you covered. Our team works with you to determine core motivators, define specific goals and create an action plan, all while providing the support you need. 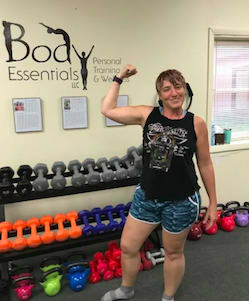 We offer a number of in-house and online training and nutrition options to help you live your best life. 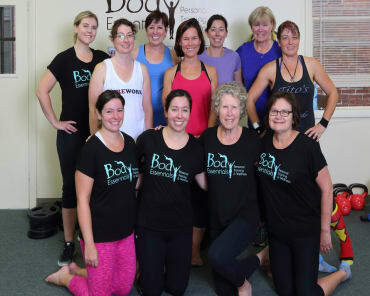 See what we’re about - request your free week now or visit bodyessentialspt.com for more information. It’s not too late to start 2019 in the right direction! Economy, Peter. 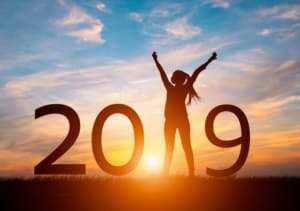 “10 Top New Year's Resolutions for Success and Happiness in 2019.” Inc.com, Inc., 1 Jan. 2019, www.inc.com/peter-economy/10-top-new-years-resolutions-for-success-happiness-in-2019.html. Mulvey, Kelsey. “80% Of New Year's Resolutions Fail by February - Here's How to Keep Yours.” Business Insider, Business Insider, 3 Jan. 2017, www.businessinsider.com/new-years-resolutions-courses-2016-12.